Latest Jharkhand Govt jobs 2019-20 Notification apply current and upcoming vacancy in Jharkhand for 12th pass, 10th, Graduate, PG holders. Job seeker searching for Sarkari Naukri in Jharkhand can check all type of Jharkhand job posts on our website. Candidates preparing for government examination to start their career and want Jharkhand free job alert and don’t want to miss any update can bookmark this page. We are updating all kind of Jharkhand Government jobs for freshers and experienced. We are publishing multiple vacancies every day for our reader from www.jharkhand.gov.in. To Apply Jharkhand state govt vacancy check below list of available job posts released by state government. Job Seeker searching for the upcoming vacancy in Jharkhand notification to prepare their state government examination can all the information related to all forthcoming job posts. Aspirants who decided to get placed in government organization have huge scope to start their career in Jharkhand govt can check all the upcoming posts listed below. Candidates searching for a government job in Banking sector must have as look at Gramin Vikas vibhag Jharkhand recruitment 2019. The job seeker who wanted to grab a job in Jharkhand Gramin bank nationalized public sector, private banks should visit this page regularly, as we are posting all notifications related to banking examinations. Not only Job links you will get all other information related to post like, Results, Admit card, Syllabus or any study material you require, we are here to provide you that. Aspirants looking for Private job in Jharkhand after completing their studies can search all types of Private recruitment details in Jharkhand or jobs in Ranchi (Capital City). This page is designed for job seeker searching private school teaching jobs in Jharkhand, Olx Jobs Or various banks like HDFC, ICICI, Axis is offering Private Bank jobs in Jharkhand. If you are not interested in above-listed posts and want jobs in your city then also try for private telecom jobs, Private institutes for teaching, clerical jobs and many other, please go through each and every post. We have great news for aspirants who are looking for Jharkhand high school teacher recruitment. The government sector is recruiting desirable people interested in a teaching job in Jharkhand after completing their essential qualification for the job criteria like Graduation, PG Degree, along with B.Ed for Jharkhand high school teacher vacancy 2019 TET or NET examination in any particular stream for other Jharkhand teacher recruitment 2019. So if you have cleared any of the above-mentioned exams and want free job alert for a various vacancy in Jharkhand for teacher 2019 then bookmark this page to get quick updates. If you are an engineering graduate and searching for Jharkhand assistant engineer in Government department. then we have good news for you is that there are a lot of job posts available in JH for engineering students. Here on this webpage, you can check all latest and upcoming Mechanical, Computer, IT, Electrical and civil engineering jobs in Jharkhand. There are many other job vacancies for which you can apply after completing your BE/ B tech. Keep visiting our website for regular updates of current jobs in Jharkhand for various engineering freshers and experienced candidates. Every year various State government departments are releasing thousands of Jharkhand state government job vacancies. Job seeker who are preparing for exams and want employment news Jharkhand for organizations like Rural Development Department, Jharkhand State Livelihood Promotion Society, JPSC, Central Institute of Mining and Fuel Research, IIM Ranchi jobs office, Jharkhand transport, East Central Railway, Tourism, Police Dept, JSSC, Postal Circle, Indian School of Mines and many other Government of Jharkhand recruitments will get all information on single page. Are Looking for Sarkari job in Jharkhand? if yes then you are at right place here on this page we are providing all types of government jobs Details. Not only JH state govt jobs we have listed all center job posts also for which people of Jharkhand can apply. Job seeker searching for SSC, 12th pass govt job at Jharkhand can find relevant Jharkhand Sarkari Naukri and also vacancies for all qualification like HSC, Intermediate, ITI, Diploma, Graduation are listed here. 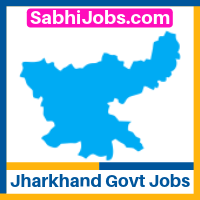 All details of Jharkhand govt job posts which helps our readers to understand the job requirement is available on our website verified from the official website of www Jharkhand job com. Not only Eligibility Criteria (academic qualification, age limit, work experience), Pay scale and Application fee you can also check how to apply online application & what will be the selection process. Candidates who wanted to check examination syllabus, availability of admit card or looking for exam results can get all the information on one place by reading our blog daily. Some Job applicants wanted to apply online application form for various government organizations, and few will check according to their qualification wherein others will also check the same via post wise. Anyone looking for Doctor, Engineer, Clerk, staff nurse vacancy in Jharkhand can check and apply from above jobs. As you know various NGO are there in the state you can also try for NGO jobs in Jharkhand 2019-20. Jharkhand State electricity board is divided into various parts and these distributed companies will be holding, distribution, transmission, and generation. These Companies are releasing multiple job notification for a graduate engineer, Account, operations and many other departments. So any applicant wants to apply Jharkhand electricity board vacancy 2019 then you have a huge amount of opportunities. Don’t miss the chance if you want to attempt the Jharkhand electricity board recruitment 2019.